I have a couple of Cross-Stitch Tags to share with you today. The first one is a simple candy cane. I used the full 6 strands of DMC floss 321 and the white, and one strand of 909 for the pop of green. 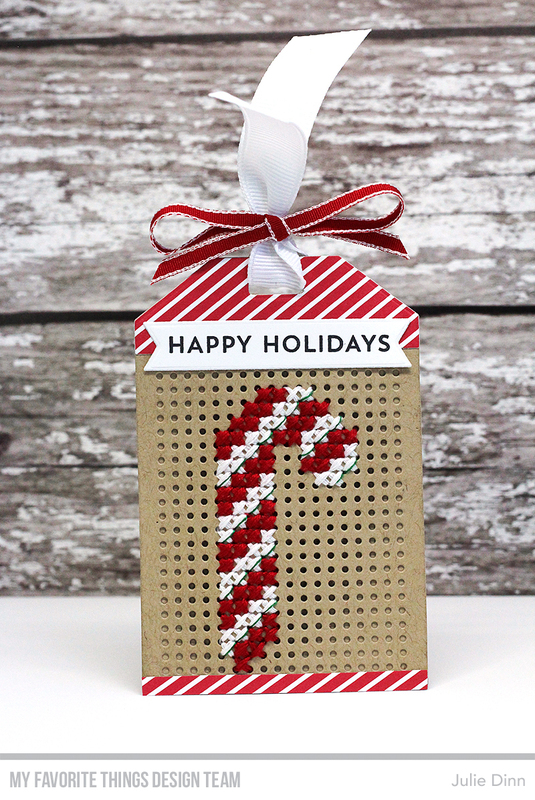 I added a candy cane striped paper to the top and bottom of the tag. I finished it off with some bright ribbon and a sentiment from the Snow Globe Sentiments stamp set. 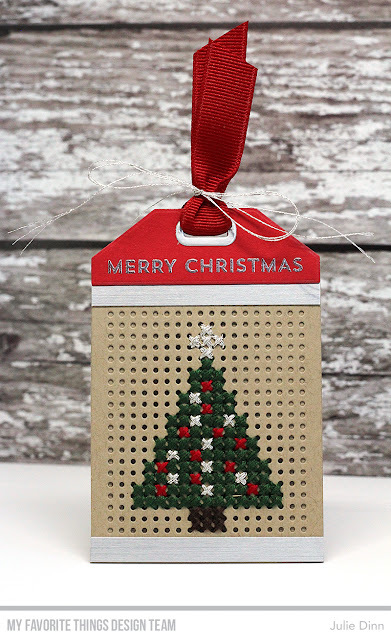 For my second tag, I created a simple Christmas tree. Again, I used 6 strands of DMC floss, the colors are 986, 321, and 838. I also used some Silver DMC thread, I doubled up the thread to achieve the desired thickness. 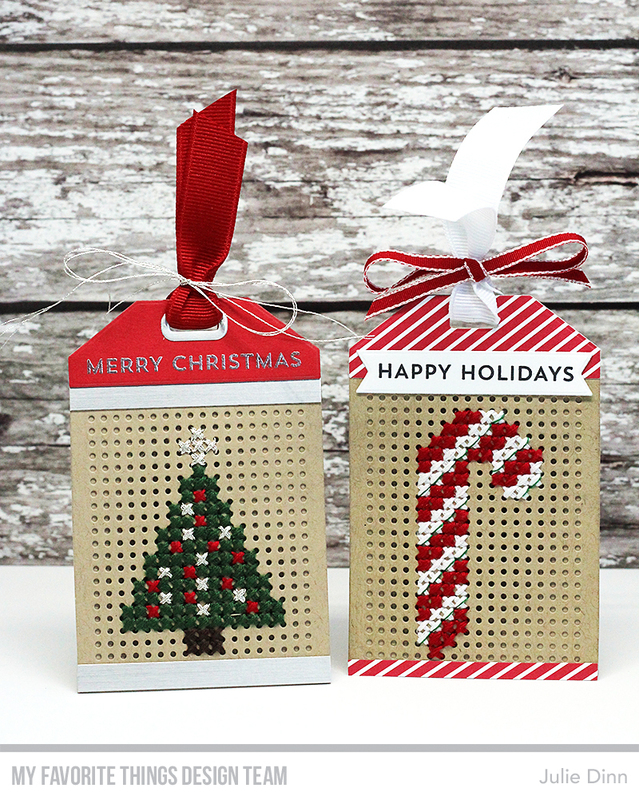 The sentiment, from the Snow Globe Sentiments stamp set, was embossed in silver. These tags are the cutest !